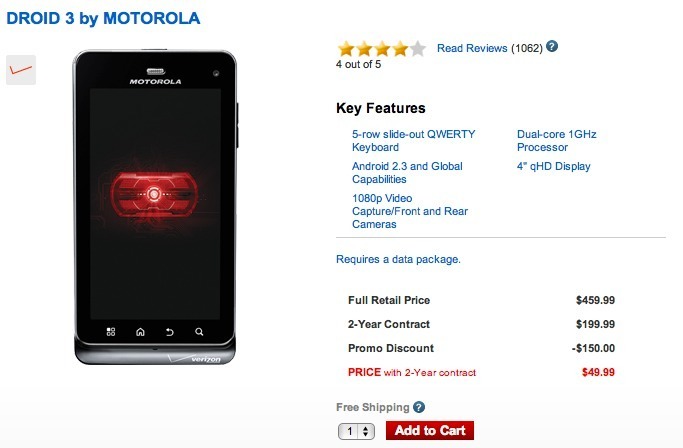 Last week, the DROID 3 dropped all the way down to $99 on contract moments after Verizon and Motorola officially introduced the DROID 4. This week, they hacked another $50 off of the price, making it available for $49 through February 6. If this was a sign that the D4 should be upon us at any second now, they I don’t know what it is. If you can live without 4G LTE for 2 more years, then this is a deal worth considering. LG to Continue the 3D Smartphone Gimmick at MWC With the "Optimus 3D 2"